Initially approached with caution by healthcare organizations, cloud computing is becoming more widely adopted in this arena. As cost savings outweighed potential data protection concerns, cloud adoption in healthcare increased during 2017. Healthcare information technology (IT) systems are expensive to implement, update and maintain. Cloud economics changes that by shifting from individual budgets to cost-sharing models enabled by private, multitenant and in some cases, public clouds. These trends are shifting in favor of increased IT spending on cloud hardware, software and networks. Learn more about the Member-Exclusive Webinar with senior editor and analyst Michael Sullivan on Thursday, February 8. 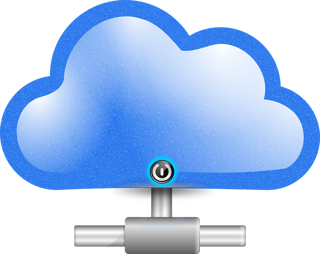 According to a new analysis by BCC Research, the global market for cloud technologies in healthcare was expected to reach $20.2 billion in 2017 and increase to $35.0 billion by 2022, at a compound annual growth rate (CAGR) of 11.6%. North America will continue to lead spending due to the combination of the large number of cloud suppliers and providers in the region, as well as the pressure to shift expenses away from traditional IT environments. The region will grow from an estimated $5.7 billion in 2017 to $10.2 billion in 2022 at a strong CAGR of 12.3%. Europe (12.4% CAGR) and Asia-Pacific (11.9% CAGR) will be the next-largest markets, each representing a 24% share of global spending. Latin America, Middle East and Africa and the remaining Rest of World countries will comprise the remaining 24% of the market, with cloud technologies advancing over traditional IT at a slow but steady rate of 9%–10%. Healthcare IT costs are high because of the nature of medical applications (such as patient records and treatment history, image picture archiving and communication systems, radiological information systems and cardiovascular information systems). These applications require large amounts of storage that constantly scale up with additional layers of data on a daily basis. Consequently, healthcare organizations must continuously add to their storage and server assets. Cloud computing enables continuous scaling using shared assets. It also facilitates interoperability because cost barriers are reduced. For example, software provides the virtualization layer that enables multiple applications to leverage the same resources and allows those applications to access a common data model, while simultaneously offering customized end-user interfaces. Cloud enables healthcare IT organizations to realize the benefits of new architectures in terms of cost and flexibility. Cloud also enables easier customization of applications for different constituents, because custom configurations are modeled in the database rather than in the application. This also facilitates collaboration across applications. The ability to generate multiple end-user interfaces across a single database can support collaboration across departments when access to a patient record is needed by different specialists or administrators. With gathering and analyzing large volumes of data becoming an essential part of evaluating and improving care quality, more providers are turning to cloud computing. The trend is expected to ramp up quickly in the coming years. Providers are finding that they often do not have the capacity to handle the reams of real-time data used to evaluate safety and care quality. The healthcare provider struggles with concerns about medical errors. Some studies indicate that medical errors may be the third most prominent cause of death in the United States, directly behind heart disease and cancer. Some estimates suggest that errors cost $1 trillion annually in the United States. Medical errors can also lead to thousands of complications in medical cases, with misdiagnosis affecting millions of patients annually. In the face of these challenges, providers are realizing that cloud technologies can help reduce medical errors. For healthcare providers, cloud technologies can address the core issues. The first is access to information when and where it is needed. The second is remedying the lack of interoperability between systems and devices that leads to a lack of coordination and clarity among medical procedures. 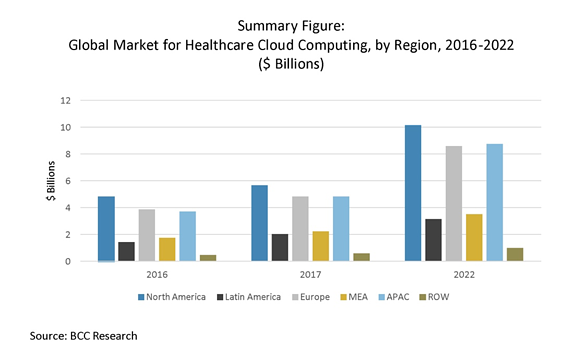 For more research and market forecasts, download the report overview for Healthcare Cloud Computing: Global Markets to 2022. BCC Research members and report purchasers can also attend the live webinar presentation and Q&A session with the senior editor and report author on February 8, 2018.